Well, things have been a bit quiet around here, haven’t they? I’ve still been playing games, of course; that’s never likely to change. For over a year all my spare blogging time went into Astrek Association, our Firefall fansite, and since we put the site on hiatus and stopped playing Firefall I’ve had enough other ups and downs that I just haven’t had time to get back to blogging. So what am I playing? Well, I’ve stopped looking for the One True Game, the game that will capture my attention for years at a time the way WoW did. Those days are gone. 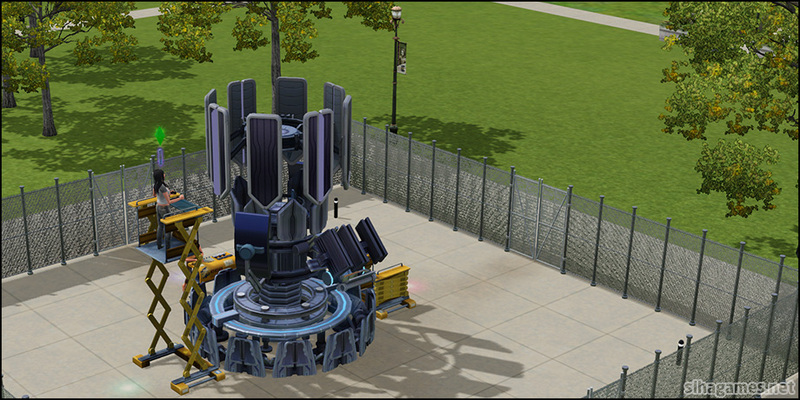 (Games like Civilization and The Sims can still do that, but they don’t have the social element I’m looking for.) 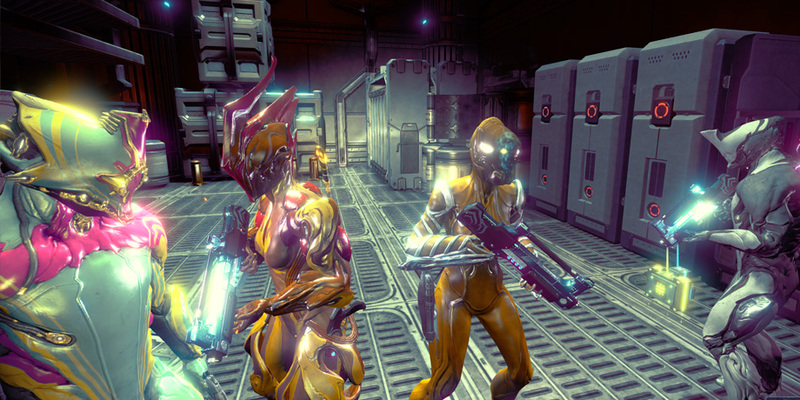 Earlier this year I was playing Warframe full-time – which has developed remarkably since I last played it, and we had a lot of fun in it. I have no doubt I’ll be back. We’ve spent some time in SWTOR, and I intend to spend more before the upcoming Shake Everything Up expansion in October, and my WoW guild is raiding again. Lately, though, my spare time has been going into Skyforge. It’s an action-combat MMO in a magitech setting where you play an Immortal, one of the few people gifted with more than one life, and as your power grows you evolve into a fully-fledged God. 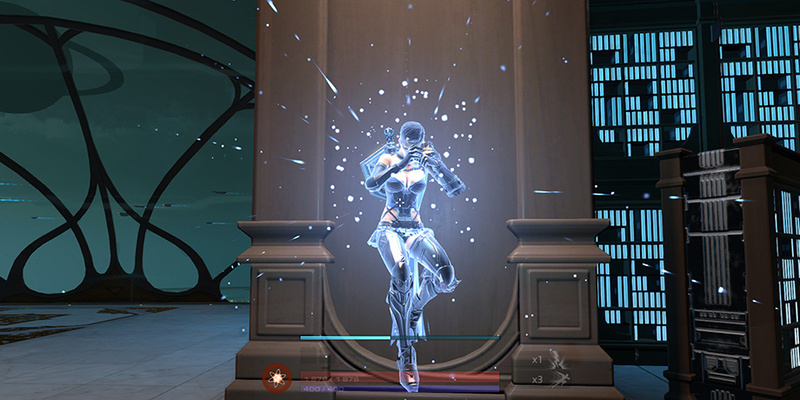 Skyforge is level-less (your progression is measured by your Prestige, which is a sum total of the abilities you’ve unlocked and the equipment you’re using) and class-based, although you can unlock and change between classes readily on one character. The combat is fun and satisfying; it’s not crazily spammy the way some other action combat games are, and although you’re fairly limited in terms of number of abilities, the combat system is deeper than it first appears. Telegraphs are handled by animation, rather than by floor designations, and despite my inexperience with action combat games (because mostly I don’t like them) I’ve found it perfectly manageable. The monetisation is not punitive; the premium currency pays for everything (including ‘premium’/VIP status), and can be purchased using in-game money. 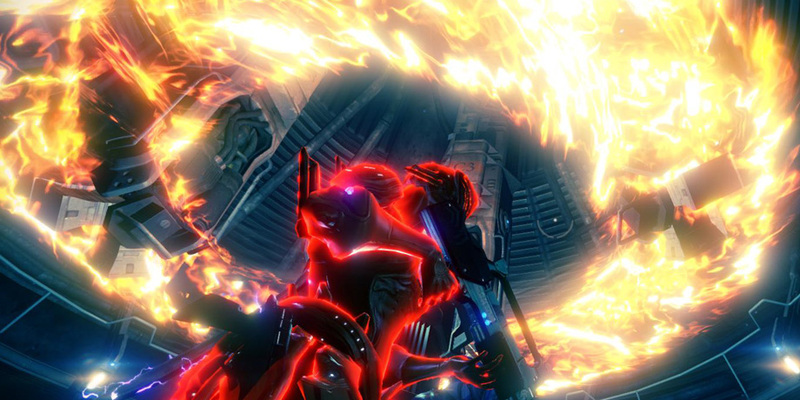 The classes are interestingly varied, with a distinct range of playstyles and variety between the classes. Flavour also varies from medieval fantasy to magitech sci-fi; ranged classes include the archer and gunner side by side, while in melee you’ll find light-channelling paladins and chainsword-wielding berserkers. Progression is interesting; you earn various currencies which you then spend on unlocking stat buffs, abilities and talents in a skill web reminiscent of Path of Exile, and this progression then moves you towards earning new classes. It’s hard to explain concisely, but works quite elegantly in practice. There are some irks to the game. One big obstacle is the pantheons mechanic – pantheons are Skyforge’s equivalent of guilds, and there’s content that only reasonably sizeable pantheons can access. Our little few-person pantheon-of-friends just isn’t going to cut it. The UI is cursor-locked and modal, which makes it controller-friendly but an unnecessary obstacle when you’re a keyboard-and-mouse player. And, being a F2P game, regional chat is lower than the lowest common denominator, and hard to ignore. That said, no game is perfect, and the annoyances certainly haven’t spoiled Skyforge for me yet. 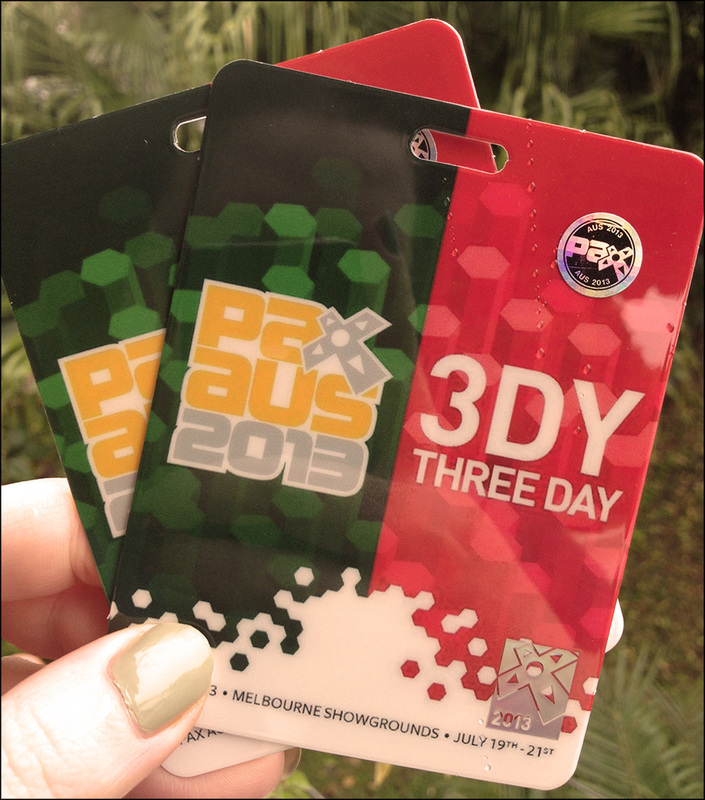 Four weeks to go! This is gonna be great. So, I haven’t been around these parts much lately — Kris and I have been busy launching Astrek Association, our Firefall fansite and blog. 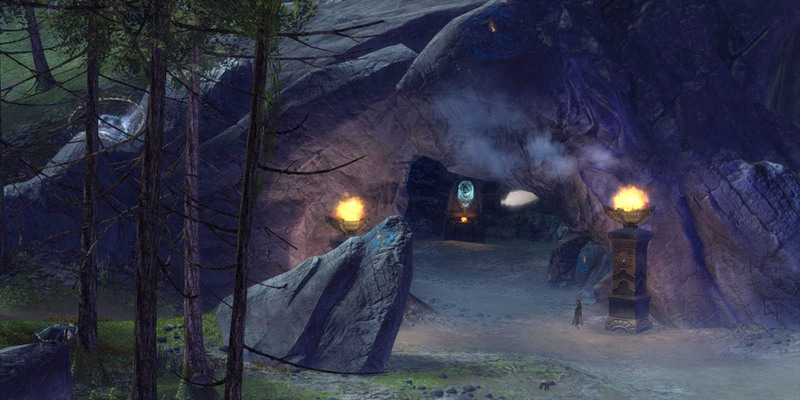 I’ll have more to say about Firefall later, but for now, I wanted to talk about a very interesting Kickstarter. A couple of weeks ago, Greenheart Games was all over the news for their indie tycoon game, Game Dev Tycoon. In order to prove a point about piracy, Greenheart’s Patrick Klug seeded a cracked version of the game to various torrent sites, with a twist: the cracked version became unplayable after a certain amount of time, thanks to in-game piracy destroying your revenue. Cute, but ultimately it felt like a bitter stunt instead of a genuine opportunity — it was just an opportunity to lecture people about piracy, instead of looking for a way to convert pirates into customers. I much prefer the approach taken by Posthuman Studios, publishers of the hit pen-and-paper RPG Eclipse Phase. I’ve talked about Eclipse Phase before, as a setting I’d love to see as an MMO, but it’s also a fantastic (and award-winning) tabletop game. Eclipse Phase is set in a high-tech post-apocalyptic future where humanity has abandoned Earth and spread throughout the solar system, and it covers everything from transhumanism, horror and conspiracy to straight-up sci-fi adventure. And what makes Eclipse Phase really special, IMO, is Posthuman’s approach to its customers and fans. Eclipse Phase is licensed under Creative Commons, which means that fans can freely hack the game, modify it, post their work online, and even share the entire game with anyone they think might like it. Hell, Posthuman themselves even seeded the full core book to various file-sharing and torrent sites. [N]o publishing company can successfully fight piracy. The RIAA hasn’t, the MPAA hasn’t. Piracy is going to happen unless we say “nope, you can’t pirate our stuff, cuz we’ll just let you give it out!” — and that makes the file-sharers like us and buy from us. I don’t think pirates are evil and immoral people. I know many people who pirate many things and these people also buy many things. They just tend to buy only things they already like. So, of course, giving away your material will only work if your material is good quality! I’d much rather have someone read our game for free and not like it than buy our game and not like it. In the first case, they’re only out their time. In the second case, they’re out time and money and are more likely to resent us and/or not buy any other games we may release. Furthermore, Creative Commons isn’t just about “downloading for free;” it’s about giving fans permission to hack our content and distribute those hacks. Permission to do the things that gamers naturally do, without fear of lawsuits or complex legalese or requiring our approval. Our fans have built and distributed complex character generation spreadsheets, customized GM Screens, converted our books into ePub/mobi format, and all sorts of neat things. When they do things like this, that gives us guidance as to what we should be doing: because fans aren’t just saying they want something, they’re putting their time where their mouth is … a strong indication that they and other fans would be willing to pay for those things if we produced them. This has always struck me as both a smart business decision and a humane one, and Eclipse Phase’s success has proved that it’s the right way to go. Treat people with respect, and it pays off. There is no need for gamers to pay for Eclipse Phase, but they do, because people are willing to pay for what they like. And this point is proved with Transhuman, the Eclipse Phase Player’s Guide (and next EP release). This is the first Eclipse Phase Kickstarter and it’s been handled with Posthuman’s typical approach to operating their business. Transhuman is in Open Playtesting, so Kickstarter customers can check out the book before they pledge. 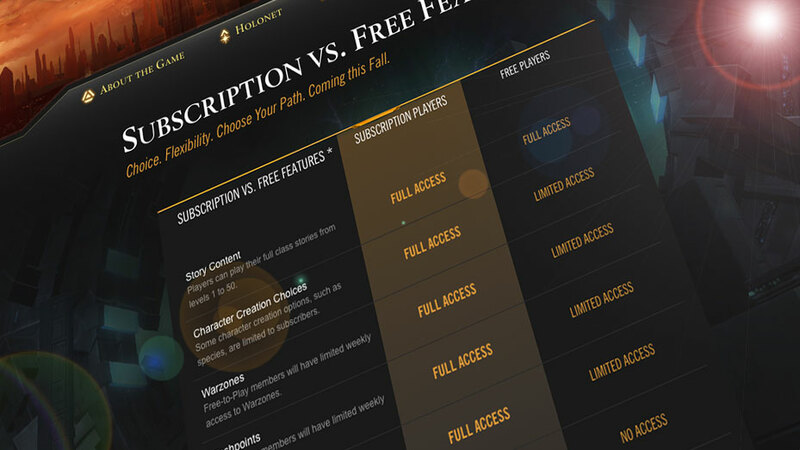 The pledge rewards packages are generous and well-considered bundles. And one of the early Stretch Goals was to give Transhuman’s freelance contributors a 15% pay raise – a very humane and generous offer in an industry where freelancers (and most creators) earn very little for their work. It probably comes as no surprise that Transhuman reached its funding goal in twelve hours and is at 530% of its goal as I write this. The success of Eclipse Phase’s business model is a counterpoint to – and lesson for – publishers in any industry. Treat your customers with respect, don’t assume they’re going to rip you off, don’t try to wring every cent out of them, and sell them a quality product: your customers will become fans, and they’ll throw money at you. As a postscript, I encourage you all to check out the Transhuman Kickstarter. If you’re interested in pen-and-paper games or simply good science fiction, a twenty dollar pledge will net you the Eclipse Phase RPG and the Transhuman Player’s Guide in PDF format, and there are a range of other pledge rewards offering more of the Eclipse Phase product line as well. Frankly, I’d have given them money even if I weren’t a fan of Eclipse Phase, because I strongly believe that their approach to business is the right one, and I think that deserves my support. And the more success enjoyed by Eclipse Phase and other games like it, the more likely other publishers are to sit up and take notice, and accept that you don’t have to treat your customers like criminals to make money. Note: There’s just over four days left on the Transhuman Kickstarter as I write this, so if you’re interested, don’t forget to check it out this weekend! 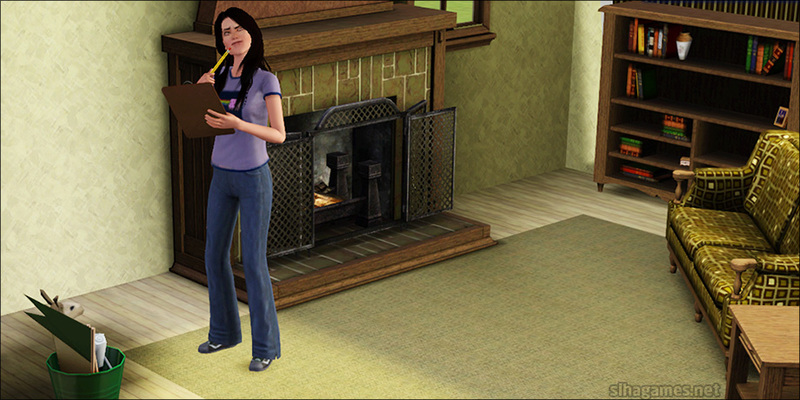 University Life, the latest expansion pack for The Sims 3, has just landed within the last few days, and there’s not much in the way of comprehensive guides out there. 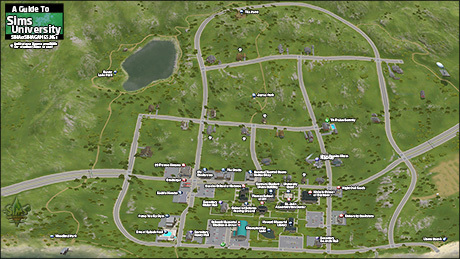 I’ve already posted Part 1 of this guide, covering the process of preparing for, enrolling at, and attending University; this part discusses the other new content in University Life, including social groups, new careers, new skills, new traits, new lifetime goals and rewards, and more. Click the image to see a bigger version of the image (1280*720), or download a 1920*1080 version here. 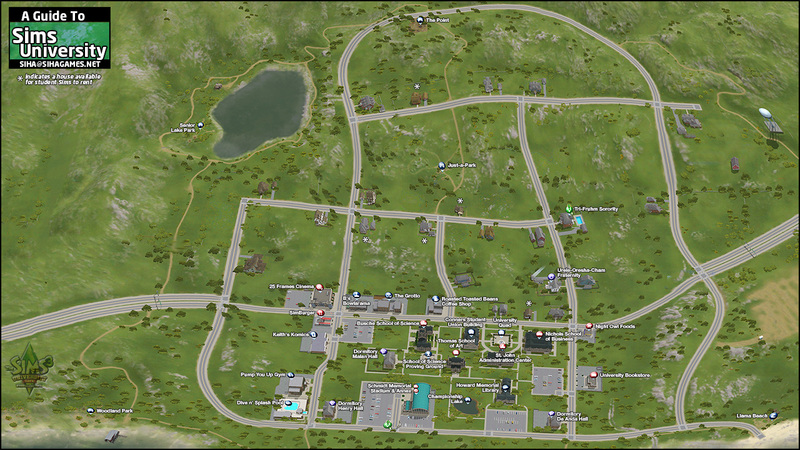 University Life, the latest expansion pack for The Sims 3, has just landed within the last few days, and there’s not much in the way of comprehensive guides out there. I thought I’d put together some preliminary information to help people out. 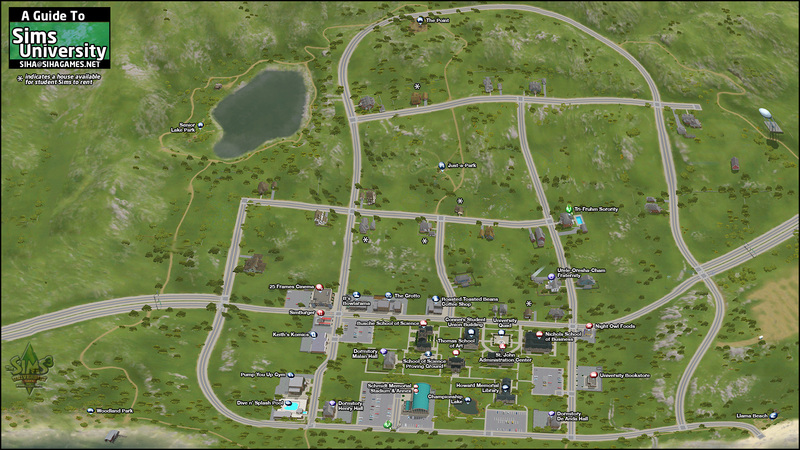 This part discusses the process of preparing for, enrolling at, and attending University; the second part will discuss the other new content in University Life, including social groups, new careers, new skills, new traits, new lifetime goals and rewards, and more. Unexpectedly, my attention has been grabbed by a game I mentioned in my last post about games I’m anticipating — Warframe. I thought it deserved a bit more than the few sentences I gave it, so let’s have a look in more depth. 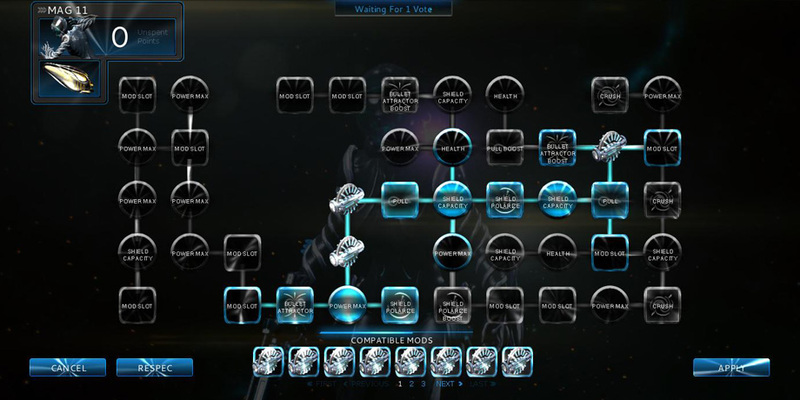 Warframe’s setting is our solar system, at some future point in time. You play a Tenno, a member of an ancient warrior race, and for various reasons the Tenno are seeking to establish a foothold in the area. The game starts with a brief tutorial, teaching you how to use your weaponry — each Tenno carries a main firearm, a secondary firearm, and a melee weapon. 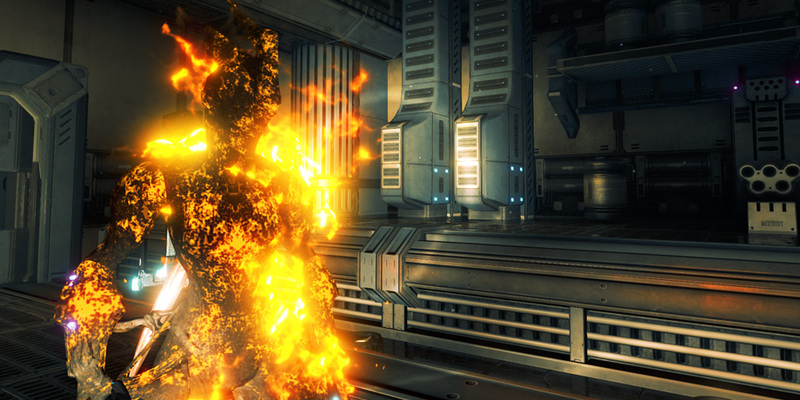 The game itself is a third-person shooter and supports both solo play and co-op missions for up to four players. 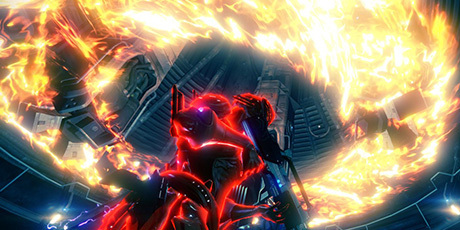 It’s worth noting that adding and removing friends from a solo play session is pleasantly smooth — if you log in to find a couple of your friends are already playing, you don’t have to wait for them to finish their mission; you can just “join session” from your contacts list and you’ll warp into their combat mission right at their heels. 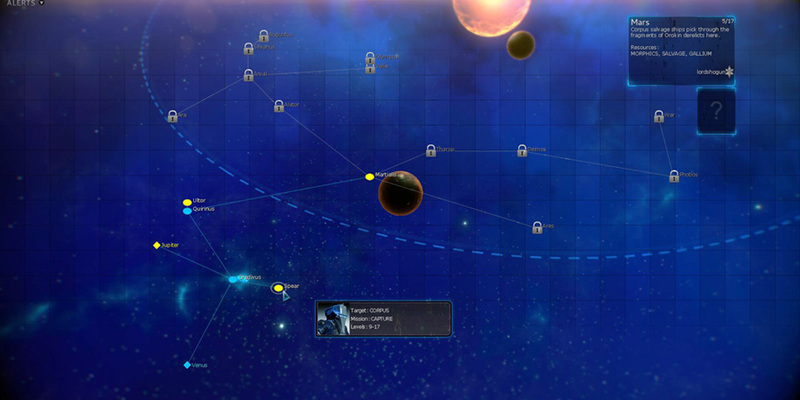 Once you’re through the tutorial, you’re presented with a solar system to explore by way of doing combat missions, which usually send you to an enemy facility or spaceship to conduct sabotage, raids, thefts, assassinations and exterminations. 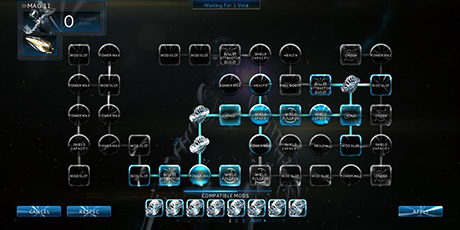 Completing each mission unlocks the next, and as you progress you’ll unlock multiple mission branches, so it’s not entirely linear. The missions can be replayed, and although the objective remains the same the mission area layout changes each time, so even ‘farming’ low-level content can remain interesting. 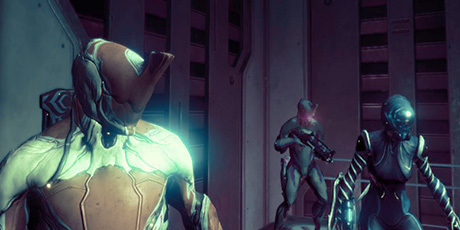 Your other equipment improves in a similar way, although new abilities only come from your warframe. All of your equipment can also be upgraded by adding mods to unlockable mod slots; mods are looted in game, and add extra damage or crit chance to your weapons, and extra defensive stats to your armour. You can upgrade and equip gear at will between missions; new equipment can be acquired via crafting, in-game currency, or the cash shop. It’s definitely still a beta — just last night, in fact, we encountered a mission that we couldn’t beat because the end-boss kept knocking people into areas where they’d get stuck. But the development team is quite active with patches and fixes, which is all one can really ask for. The best thing I’m finding about Warframe is that it’s quick and easy to start having fun. Within 30 seconds of firing up the game you can be in a solo mission shooting Corpus crewmen or joining your friends’ session to help them exterminate a ship full of the Infested. There’s little overhead; it’s instant fun, with enough progression mechanics to keep one coming back. Wait, I lied. The best thing is the mobility and movement system. Tenno warframes are agile and limber, and the engine allows you to scamper up vertical surfaces, wall-run across bottomless caverns, and zip-line from platform to platform. I’m adding it to the very short list of games (along with DCUO and Firefall) where just getting around is half the fun. I started playing EVE months ago, and with the complexity and depth of the game’s systems and setting, you’d think I’d be all over it. Weirdly, though, I’m not. I do enjoy EVE, and I’m still subbed to allow my characters to train their skills, but I very rarely actually play, and that’s because of a combination of two factors: offline skill training, and legitimised RMT. I’ve got a few posts brewing on RMT, F2P and related subjects, but the Cliff’s Notes version: I don’t actually have anything against microtransaction-funded gaming when it’s done right. The problem is that in the case of EVE Online, it removes the point of playing the game, at least for me. 8. People who are time-rich-cash-poor can “afford” to spend in-game time grinding for benefits and bonuses. People who are time-poor-cash-rich don’t have this luxury. 9. People who are time-poor-cash-rich can “afford” to spend real-world dollars for benefits and bonuses. People who are time-rich-cash-poor don’t have this luxury. Or, as Kris puts it, “I could spend hours and hours mining or running missions for forty million ISK an hour. Or I could spend half an hour’s worth of my pay and buy a PLEX worth half a billion ISK, and spend those hours doing something more fun than grinding for money”. It’s hard to argue with that logic, if you’re cash-rich and time-poor, and there’s certainly nothing wrong with that. So what do you do instead of grinding for money? Well, in most games you’d spend your time doing something satisfying – something that gives you a sense of progress. 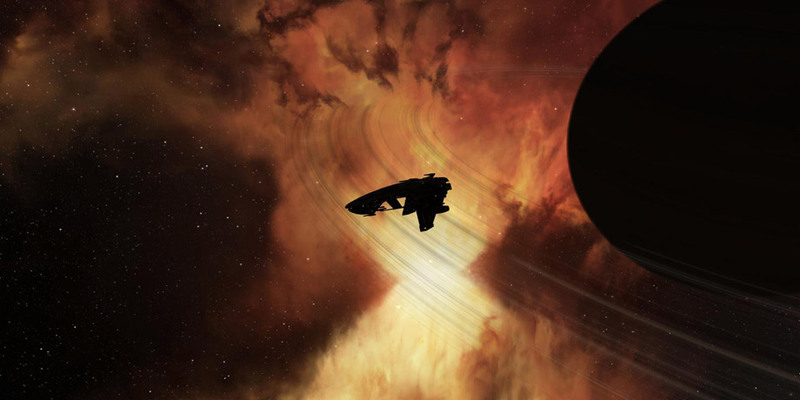 Unfortunately, you can’t spend time making progress in EVE, other than accruing resources or fighting other players. All your character skills are trained in realtime and nothing you do in-game affects them. Very little is gated by your corporate standings1, other than access to Jump Clones2, and everything you could buy with Loyalty Points3 you can buy on the market with ISK anyway. Of all the (PvE) things you can do in EVE, almost all of them are rendered pointless if you have the money to buy the ISK you need. I’ve played other games with legitimised RMT – Guild Wars 2, for example, where you can buy gems with RL money and sell them on the Auction House for in-game gold. That didn’t break the game, because you couldn’t buy XP or reputation or Karma or any of the other “progress” mechanics in the game. And I’ve played other games with offline skill training – Glitch, for example, where your skills trained in real time just like in EVE. That didn’t break Glitch, though, because you still had to play the game to accrue currants 4 and imagination and crafting materials and all the other resources in the game. But that doesn’t work, in EVE. If I’ve broken the seal on buying ISK with real money, and there’s nothing I can do in-game to “skill up” my character, then there’s little left for me to do, and thus little reason for me to bother logging on. I’m not a PvPer, either by inclination or by ability, and anything I can do in PvE is rendered meaningless — if it weren’t for that offline skill training, I really would have no reason to remain subscribed. And sooner or later, the appeal of paying money to improve my characters in a game I have no incentive to pay is going to fade entirely. Legitimate RMT? Fine by me. Offline skill training? Sure! Just not together in the same game, please. 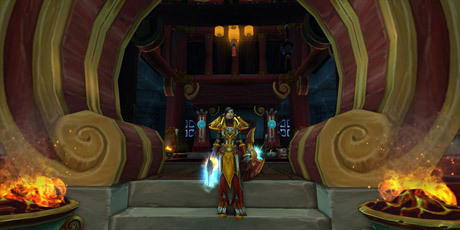 As I return to WoW, I’ve been adapting to their latest changes aimed at normalising player numbers: cross-realm zones. Now, I’m not a fan of CRZs for various reasons but they do at least help keep deathly-quiet servers from dying entirely. That’s not, however, necessarily a good thing. Azuriel from In An Age recently discovered that, in his absence, his server had gone from ‘quiet’ to ‘desolate’. For the past three expansions, Blizzard has been solving all the problem elements of low-pop servers except the one that matters: the server itself. Play BGs with everyone else, run dungeons with everyone else, raid with everyone else, and now even quest with everyone else. Isn’t it about time you let us be with everyone else? As Azuriel points out, Blizzard’s been putting a lot of work into normalising player populations, easing the strain on overcrowded servers and providing playmates for underpopulated servers. Unfortunately, it brings as many problems as it solves. Personally, I don’t like cross-realm zones because I like having the opportunity to farm for resources or rare spawns in peace, and because they’re fundamentally unnecessary. WoW levelling rarely requires the assistance of another player (unlike, say, GW2 dynamic events, RIFT dynamic events, SWTOR heroic quests, etc) so the lack of players in levelling zones isn’t a handicap. And, on the flipside, overpopulation is rarely a problem outside the two-week period immediately following an expansion. Cross-realm zones are a drastic solution to a problem that doesn’t even exist for 102 weeks out of every 104. And they have costs. 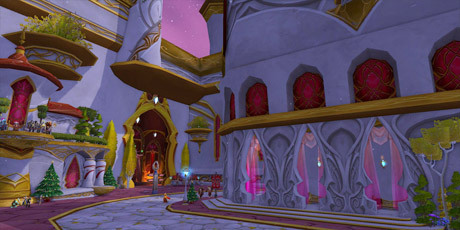 As others have pointed out, WoW’s model isn’t set up to accommodate lots of competition for mobs or resources. Guild Wars 2 highlights the opposite model, where everyone can harvest the same resource node and you can still get quest credit and loot from mobs ‘tagged’ by other people. In this model, cross-realm zones work fine; in WoW’s selfish “everyone get your own stuff” world, CRZs just make peoples’ lives harder. Add to that the impact on the community. During the most recent Darkmoon Faire, Goldshire on my server was suddenly a hotbed of ERP and idiot epeen-swingers when it had never been like that before – because it wasn’t my server any more, it was a generic server with people from anywhere and everywhere. Talk about destroying one’s sense of community. CRZs really fall apart when you’re looking at areas where players stand around and chat instead of get on with the business at hand, because the more you weaken peoples’ ties to their community, the less incentive they have not to act like jerks. Unfortunately, I think we’re out of luck. As Azuriel says, “Blizzard isn’t ever going to bite the goddamn bullet and put realms like Auchindoun out of [their] misery.” And we have ourselves to blame for that, because of the way that the MMO community reacts to anything other than constant growth. Server closures and server merges are the number one sign, in most peoples’ minds, that a game is struggling, and Blizzard can’t afford to be seen as struggling, given its position at the top of the pile. Most games are forced into server closures and merges anyway, by the necessity of providing a playable environment for their customers, but Blizzard have had the resources to develop technologies that prop up ailing servers without merging them. It’s logical that WoW would have some underpopulated servers, after eight years and waves of growth and shrinkage. In their case it wouldn’t actually be a sign of failure to consolidate lower-population servers; it’s fairly clear that WoW may not be the only game in town any more, but it’s not even remotely in trouble. But WoW has a special cachet as the constant success story in an otherwise marginal industry, and I suspect that Activision-Blizzard aren’t willing to sacrifice that for the sake of player satisfaction.